Barbie And Crayola Partner On New Product Line | Mattel Inc.
EL SEGUNDO, Calif. and EASTON, Pa., Nov. 17, 2017 -- Today, Barbie and Crayola announced a new product line, combining the No. 1 fashion doll with the No. 1 worldwide producer of arts and crafts products. Barbie chose to partner with Crayola as their products have sparked the creative spirit in children for nearly 115 years. Barbie and Crayola have a longstanding relationship in a variety of categories, including coloring books and Color Alive, but this is the first time the brands are joining forces in the doll aisle. The new fashion activity line incorporates Crayola's popular ultra-clean technologies to create unique crafting play with color-in fashions, tie-dye designs, stamps and confetti. "Barbie and Crayola are both trusted brands that inspire self-expression and we are excited to see what can be created when we join forces. Our collaboration is built on the brands' shared and complementary consumer bases, play patterns, and end benefits; it made sense that we would come together to develop this new product line," said Sejal Shah Miller, Vice President of Global Marketing for Mattel. "We know that parents value creative and imaginative play, which we can enable and enhance by offering the best products with the best partners." To support the product launch and further inspire creativity, Barbie will launch the Barbie x Crayola Create It Yourself YouTube content series in February 2018. 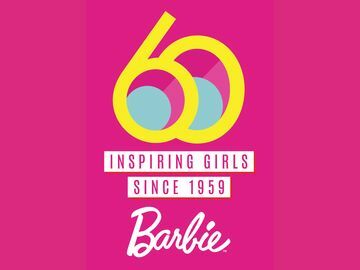 The videos will showcase how to leverage both Barbie and Crayola to further inspire customization and ignite creation. "At Crayola, we're all about inspiring creativity through color and customized play experiences, and our partnership with Barbie demonstrates this continued passion," said Warren Schorr, Vice President of Business Development and Global Licensing at Crayola. "We know kids love fashion and colorful design and giving them a way to express and create their unique style with Barbie is a perfect fit. We look forward to our continued collaboration and providing kids with innovative and imaginative activities." The line will be housed in the Barbie doll aisle and some of the products will be available this holiday season. The full line will roll out in 2018 both domestically and internationally to retailers. The products are accessibly priced, ranging from $9.99 to $39.99. The two brands plan to continue the collaboration into 2019, expanding the Barbie fashion activity line by leveraging Crayola's proprietary crafting technology pipelines. Mattel is a creations company that inspires the wonder of childhood. Our mission is to be the recognized leader in play, learning and development worldwide. Mattel's portfolio of global consumer brands includes American Girl®, Barbie®, Fisher-Price®, Hot Wheels® and Thomas & Friends™, among many others. 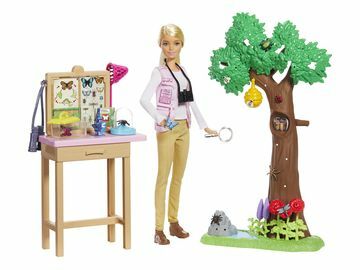 Mattel also creates a wealth of lines and products made in collaboration with leading entertainment and technology companies. With a global workforce of approximately 32,000 people, Mattel operates in 40 countries and territories and sells products in more than 150 nations. Visit us online at www.mattel.com. Crayola LLC, based in Easton, Pa. and a subsidiary of Hallmark Cards, Incorporated, is the worldwide leader in children's creative expression products. Known for the iconic Crayola Crayon first introduced in 1903, the Crayola brand has grown into a portfolio of innovative art tools, crafting activities and creativity toys that offer children innovative new ways to use color to create everything imaginable. Consumers can find the wide array of Crayola products in the "Crayola Aisle" at all major retailers. For more information visit www.crayola.com or join the community at www.facebook.com/crayola.